Today we ran out of Exile 65 looking for Sailfish here today in the 79 degree Isla Mujeres waters. We pounded it out and did get 7 Sailfish bites today close to home, but only released 2. Had some bad luck on a few bites. In the morning the big bonitas walloped us pretty good and a few king mackerel tore through some of our baits as well with some pretty impressive sky high acrobatics, haha. Always a cool sight to see. The past few days I made a quick jump from Isla Mujeres, Mexico to Curacao to run Picante for a few days. We started off night fishing for blackfins and loaded the box with some sashimi! 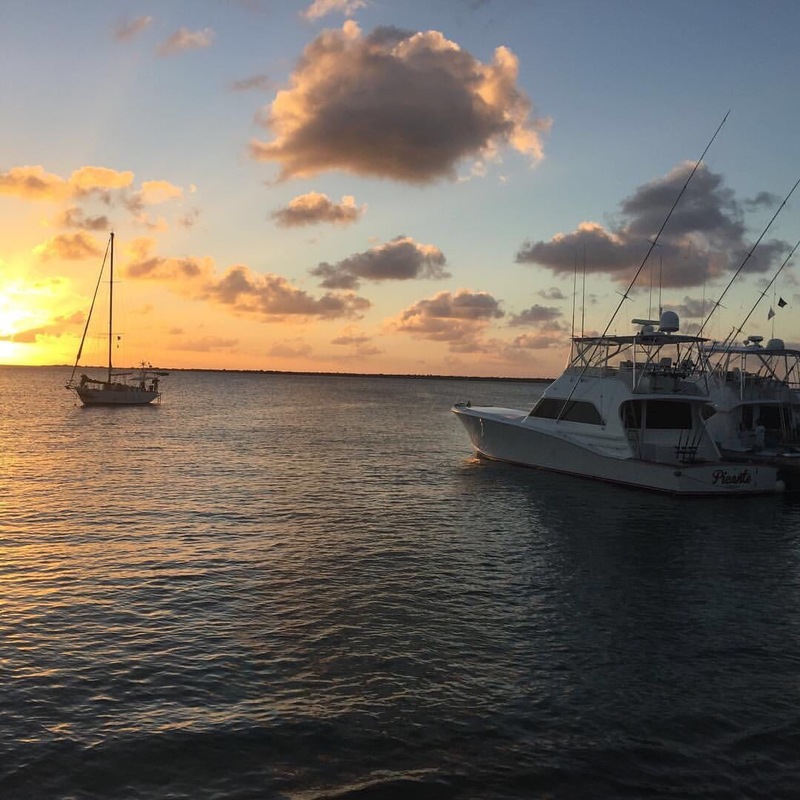 We made the run from Curacao to Bonaire and trolled for half a day and caught a mahi and a Sailfish. We got in and cleared customs and immigration and got setup for the Bonaire International Billfish Tournament. Day 1 we went 1/1 on Sailfish and that was all we saw all day. Fishing was slower then normal, but there was a decent blue marlin bite down in the bay that we missed. Today, Day 2, we started in the bay and it was very dead there. We made our way out to the corner and found bait in 2000-3000 feet. Amazing bait marks. We just could not get bit. We raised 2 Sailfish that never ate. Very frustrating tournament showing for us. I guess I was due for a bad one, but ouch! Oh well, headed back to Isla Mujeres Mexico and I will be at it just about every day starting on Monday! Congrats to the winners, they made it happen in Bonaire. We got in some sailfishing on Exile65 in Isla Mujeres the past four days. Overall we managed 5-10 bites on Sailfish a day all four days, so some action everyday. 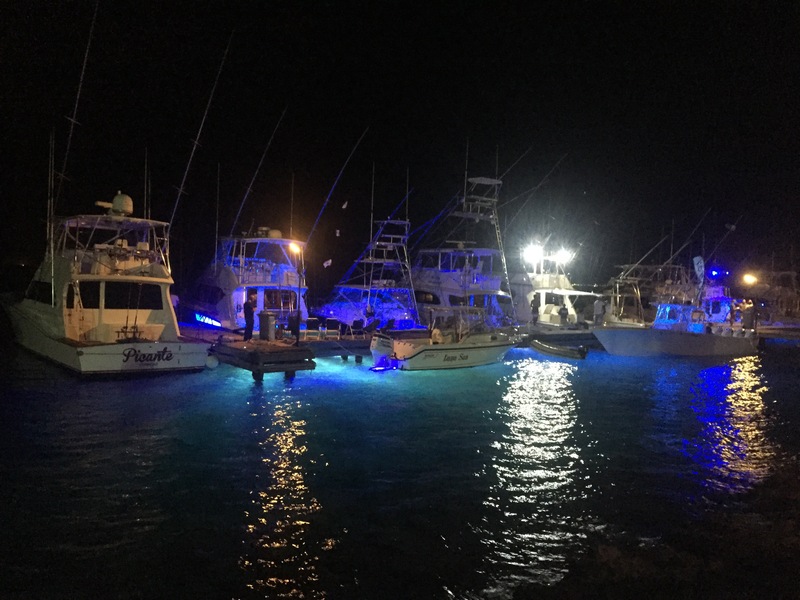 I am headed to Curacao at the moment to get Picante ready to fish the Bonaire International Billfish Tournament the end of this week, then I’ll be back in Isla Mujeres and fishing there every day starting February 2nd. Well, today was a struggle for us. It was a fairly calm day for her in Isla with winds out of the SSE at 10-15 knots. The bite was pretty decent throughout most of the day, we just found ourselves at the right place wrong time kind of thing. We ended up releasing 3 sailfish and jumped off 3 others, and we saw plenty of others under the birds on the bait balls which was pretty amazing late int he day. Pretty awesome sight to see. Hoping to put together much better numbers tomorrow. Today we got out for our first day here in Isla Mujeres, Mexico on Exile 65. We had a 15 knot ESE wind and beautiful weather. We started off where we fished on the Sea Mistress over the weekend as it seemed the bite was ok with a mix of king mackerels yesterday, but today was a totally different story. Very very slow morning with just some bonita tearing through our baits every so often. 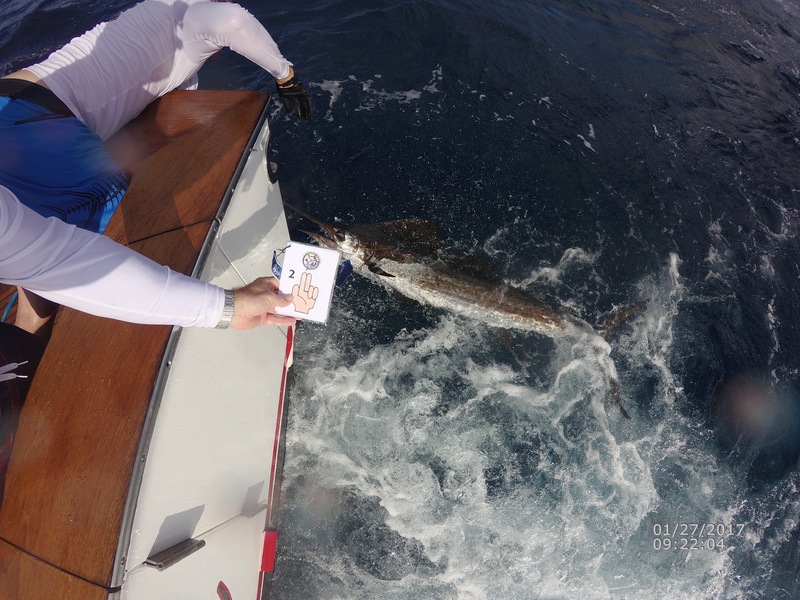 We managed to raise 4 sails, but only got a bite out of 1 at the end and ended up releasing 1 sailfish today. Not the way I had hoped to start the season on the boat, but plenty of better days to come. Today we fished on the Sea Mistress here in Isla Mujeres, Mexico. The wind has been blowing hard the entire past week out of the NE and the past few days out of the ESE.Today it was 20-25 out of the ESE and I would say a 5-7 foot confused chop,but luckily we don’t have to go far. We have some clean water just outside of the island in 90-95 feet and the sails are certainly there. We ended up going 10/16 on Sailfish in a 5 hour day. Very fun day of fishing for sure!